The pillars of being an investigator or fraud examiner in the digital age are the same as they ever were: personal and professional integrity; analytical skills across a variety of media; a disciplined approach; strong communication, writing, and listening skills; and the ceaseless curiosity of the perpetual student. All fraud fighters must continually hone their knowledge and sharpen their skills. They must be agile and adaptable as they approach each case. But no one can be an expert in every subject area. Being a true professional isn’t about knowing all things; it’s about knowing where to find the answers. That’s why building a strong network and resource bank is so important. A professional investigator knows where to go, whom to ask, or what resource to tap into. This could mean people, places, physical tools, and online resources. I call this network my virtual Rolodex. 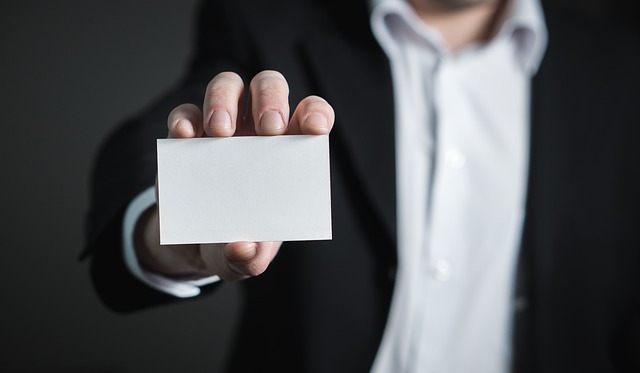 Less than two decades ago, every desk sported a physical Rolodex—a rotating spindle of index cards (hence the name: a portmanteau of the words ROLLing and inDEX) containing a professional’s business contacts. Today, of course, the spinning paper Rolodex has been replaced by PDAs, smartphones, and digital address books, and our interconnected world offers much greater access to pretty much anyone’s contact information. But what people too often forget is that no matter how easy it is to find people in the digital age, a “real Rolodex” can only be created by forming real relationships—and that means direct personal interactions and shared experiences. You curate your own Rolodex by meeting people, sharing information, and exchanging favors over the course of many years. You’ll have to invest thousands of hours in building that network, but you’ll see a return on that investment many times over. Have a question about mortgage fraud through a straw buyer? That Fannie Mae contact you met should be able to help. Need to do an international background check in France? That private investigation firm specializing in French-American cases knows how to do that through open sources. Working a ransomware or other cyber-related breach case, involving theft of protected health information (PHI) or personally identifiable information (PII)? That healthcare industry compliance officer, privacy officer, or chief information security officer contact in your address book may be able to point you in the right direction. Got a discrimination case involving a complaint filed with the EEOC? Good thing you know a human resources professional, or a lawyer specializing in employment law. How can you establish your network and resource bank? A logical step is to meet other investigators, auditors, lawyers, and compliance professionals and learn the common resources they use. Focus on building relationships with your coworkers, industry colleagues, and even professional adversaries. To extend beyond those you come into contact with on the job, open yourself up to new opportunities by attending conferences or signing up for (or hosting) webinars or speaking engagements, writing articles for industry publications, and linking up with other contributors. And if you’re traveling, seek out a professional in that city and offer to buy him or her a cup of coffee. Relationship before task: This motto applies well here. This is a small industry. Inevitably, when you meet someone in this field, you will cross paths with each other again. To expand beyond your workplace or workspace, join professional or fraternal organizations that offer niche education for skills enhancement and networking. There are several national and local chapters worth looking into. For local chapters, start by using a simple Google search for “investigator organization” (also, try adding your state or city into the search) and see which ones align with your area(s) of focus. Local or regional organizations may result in more personal networking opportunities, but national organizations are valuable as well. If you find yourself in the Greater New York City area, the Society of Professional Investigators and New York Chapter of the Association of Certified Fraud Examiners are great examples of what a local organization can offer. If you’re interested in more of a national organization focusing on investigative topics, explore the content, contacts, and opportunities available through the Association of Certified Fraud Examiners and Pursuit Magazine. Remember, you get out what you put in. Get involved. Consume the content available to you about your focus area. Attend in-person events. Ask questions. Open yourself up to be asked questions. Listen. Adopt the motto of putting relationship before task. David Crawford is a New York private investigator, Certified Fraud Examiner, Master Analyst in Financial Forensics, and certified compliance professional. He is based in New York City, specializes in matters relating to the healthcare and insurance industries, and can be followed through LinkedIn.